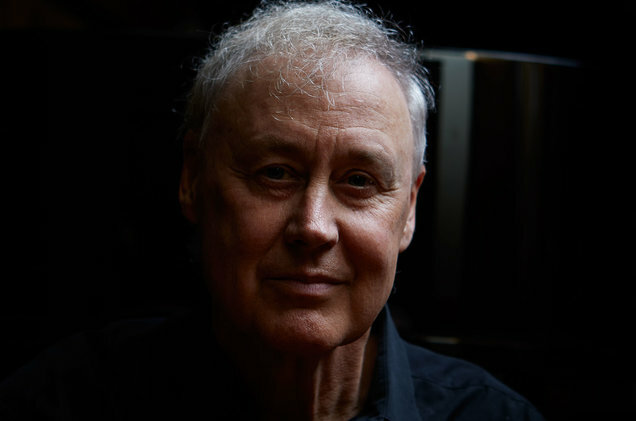 “I’m too old to not do it,” says Bruce Hornsby on a recent spring day, talking about experimentation and his upcoming new album Absolute Zero, out Friday (April 12). And experiment he did, starting with the musicians he surrounded himself with. For the album’s 10 tracks, Hornsby rounded up a stellar cast of supporting players to help him branch out sonically, including jazz drummer extraordinaire Jack DeJohnette, guitarist Blake Mills, New York City-based chamber group yMusic and Justin Vernon of Bon Iver. He also co-wrote a song, “Take You There (Misty),” with Robert Hunter, the longtime writing partner of Jerry Garcia and the Grateful Dead. But the genesis of the album didn’t start with any of these artists: It started with film cues he wrote for his other longtime collaborator, Spike Lee. The title of this record, Absolute Zero, seems so final. It’s very specific and literal. The song “Absolute Zero” is a cryonic fantasy, meaning the idea of freezing a body with vitrification, allowing the body to not ice over. There’s a lot of science in this record and increasingly in my music for many years now. So that’s what it is: Absolute zero is minus 273 degrees on the Kelvin scale. Let’s all bow to the lord Kelvin here. You’ve worked with a bunch of different musicians on this album. Do you see this as one of your most experimental in sound in a while?